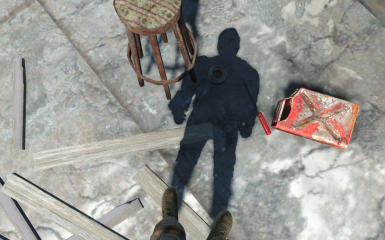 Makes the 3rd person camera able to zoom in to look like a 1st person camera where you can see your shadow. Weapons use a close 3rd person view with an optional overhead mode. Made with FO4Edit. 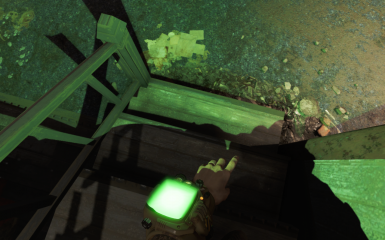 First Personish Camera is small mod to make the 3rd person camera able to zoom in to look like a 1st person camera where you can see your shadow. Weapons use a close 3rd person view with an optional overhead mode. 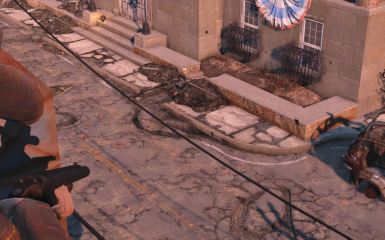 Extract the .esp and .ini into the FO4 Data folder. Enable the .esp with a mod manager to enable the .ini settings. There's an optional overhead weapon mode in the .ini that can be enabled by uncommenting it. The .esp is a blank mod to allow the .ini settings to be easily enabled/disabled. ; You can tweak in game by opening the console with ~ and using setini. ; You will usually have to toggle the camera mode by switching between weapon/no weapon in game to see the change. 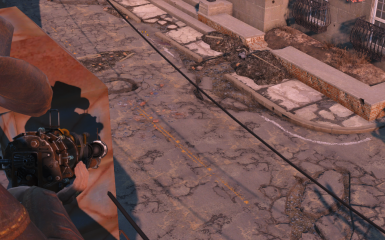 It's still a bit glitchy with power armor. 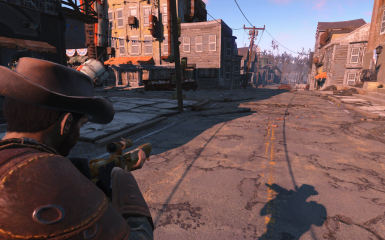 It's not tweaked to work nicely with power armor, but it does kind of work for first person mode if the camera distance is adjusted in game. Try moving the camera back a little when looking down until your body pops into view. 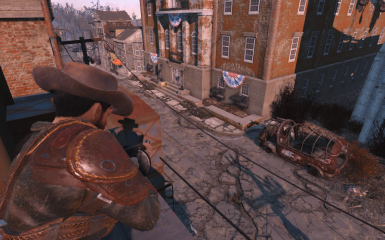 New files made with FO4Edit. Rain of Brass - Long lasting shell casings for player and NPCs. Long Range Bullet Holes - Allows bullet holes and other impact effects to be shown at long ranges. 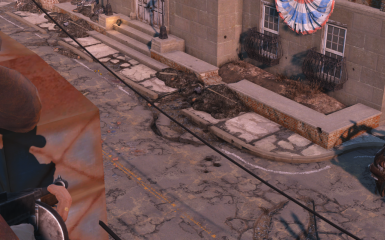 Better Fake Reflections - Improves the fake reflections on various objects like puddles, glass, etc. Simple First Personish Camera - Makes the 3rd person camera able to zoom in to look like a 1st person camera where you can see your shadow. Splatter - Blood Decals - New blood texture that also fixes creature blood decals. Heavy Ambient Occlusion- Makes the built in Ambient Occlusion look better. Long Range Smooth Shadows - (Good with Dynamic Performance) - A settings guide for long range shadows that work with Dynamic Performance.